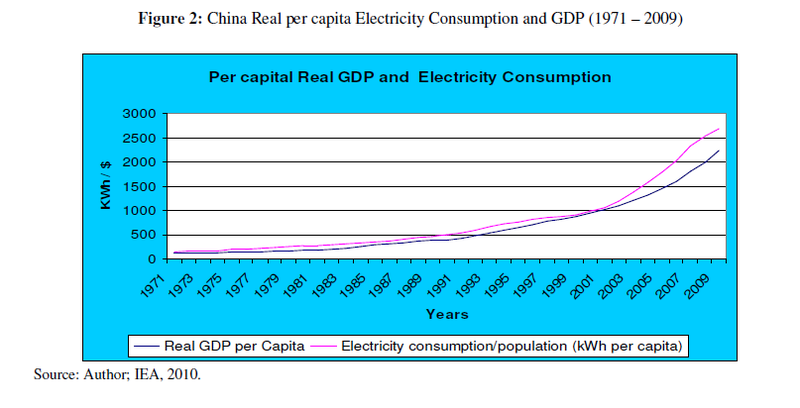 The demand for electricity continues to grow in China as surging economic growth creates a rising middle-class. 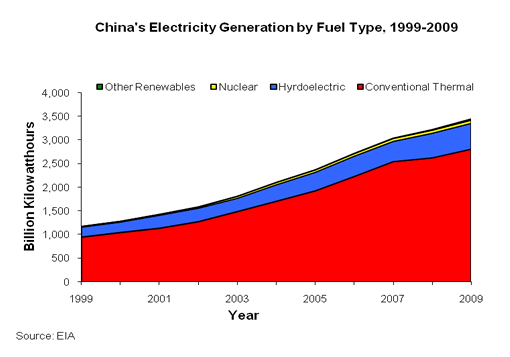 With the largest population in the world, naturally the growing number of middle-class Chinese consume more energy. This is especially true with electricity since higher sales of consumer electronics, household appliances increases power demand. In addition to demand from consumers, China’s industrial sector also drives the demand for electricity higher. The second largest energy consumer in the world. The 3rd largest importer of oil. The largest producer and consumer of coal. From an investment perspective, China’s growing demand for electricity presents investment opportunities in Western companies that supply the technology, equipment and natural resources to China. Australian coal mining companies are the major suppliers of thermal coal to China. Last year Australia’s Resourcehouse signed a $60 billion deal to supply 30 million tons of coal a year for 20 year to China’s power stations. This deal was the biggest ever export contract signed by an Australian firm at that time. Other global firms such as Germany’s Siemens (SI), USA’s General Electric (NYSE:GE) and France’s GDF Suez (GDFZY.PK) and Areva have large presence in the Chinese electricity market.